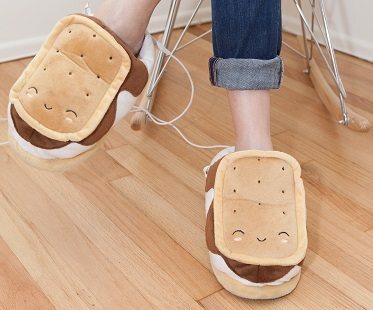 Treat your feet this winter with these s'mores heated slippers! They'll certainly keep your toes 'toasty' when you use the USB heat function! Simply plug it into your PC when your feeling the chill, then detach the cable for when you need to walk around.